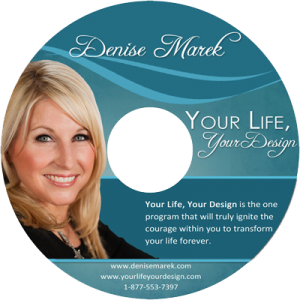 During this power-packed 70-minute seminar on DVD, Denise Marek will take you on a step-by-step journey to designing–and living–your best and happiest life. You deserve to live a life true to yourself. No matter who you are, where you are, or what you’ve been through, find comfort in the fact that it’s not too late for you to live your best life. Learn how to get from where you are now to exactly where you want to be. Release anything that’s getting in the way of what you want to do, be, or have. Uncover your true authentic self. 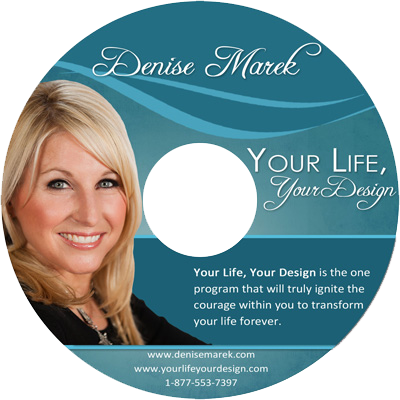 Gain the courage to live the life of your heart’s desires. Free yourself from unhealthy thinking and negative belief systems. Let go of the fears that keeps you stuck and struggling. Discover 6 ways to banish doubt.